We enjoy showing on our website roots that we extract from our clients sewer lines. This client in particular had another company telling him to excavate for thousands of dollars. This client ended up calling around and hired us to come out and try cleaning his line for a couple hours before digging was the only other option. We ended up pulling huge roots in the size shown before. This line has been neglected and now will be maintained yearly. 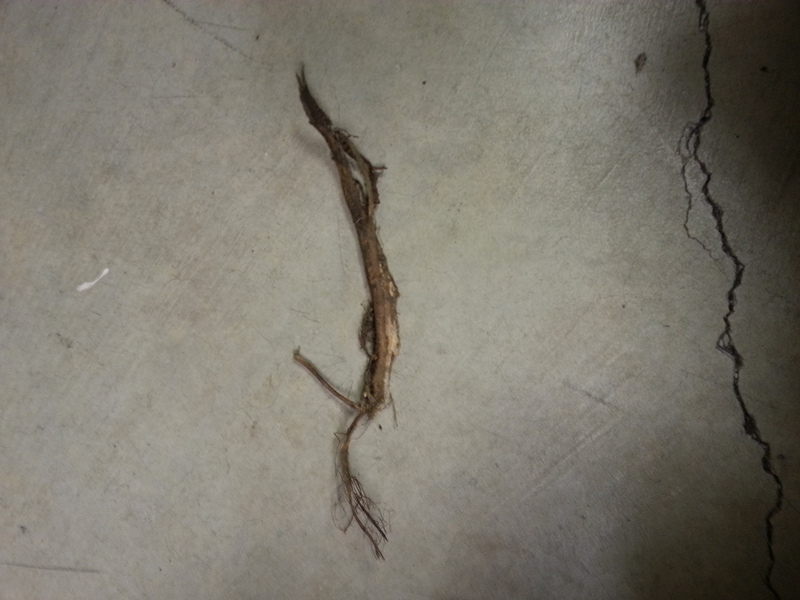 Roots damage sewer pipes and by cleaning yearly we slow down the root growth in your sewer line. Who has the money to excavate anyways?